This entry was posted in Commentary and tagged apple, chard, cranberry, CSA, greens, kale, pumpkin puree, salad, soup, stew, tart, turnips. Bookmark the permalink. 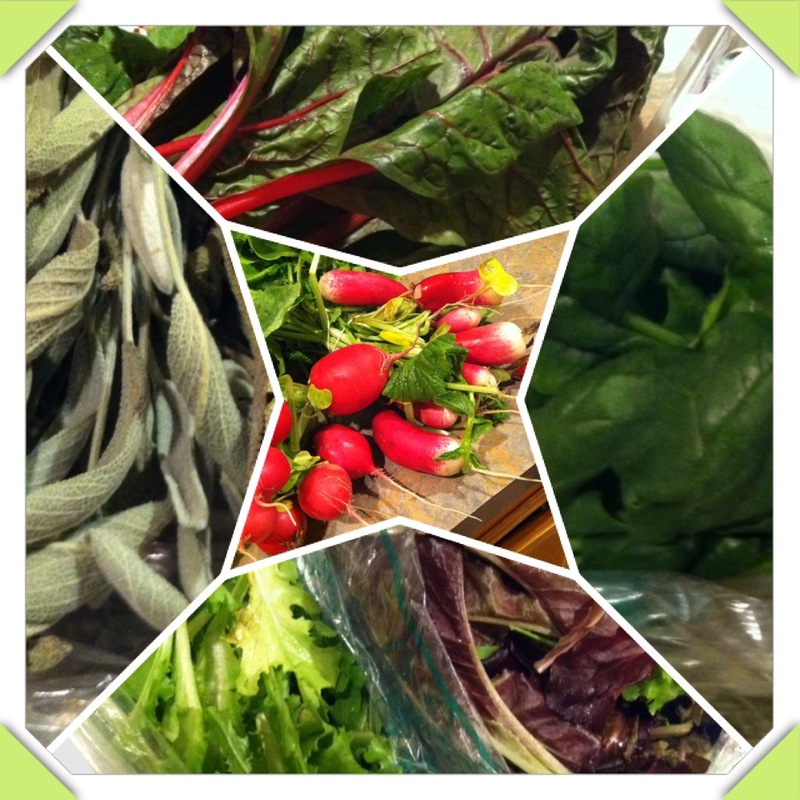 6 Responses to Box #2 – Greens and Potatos and Turnips, Oh My! 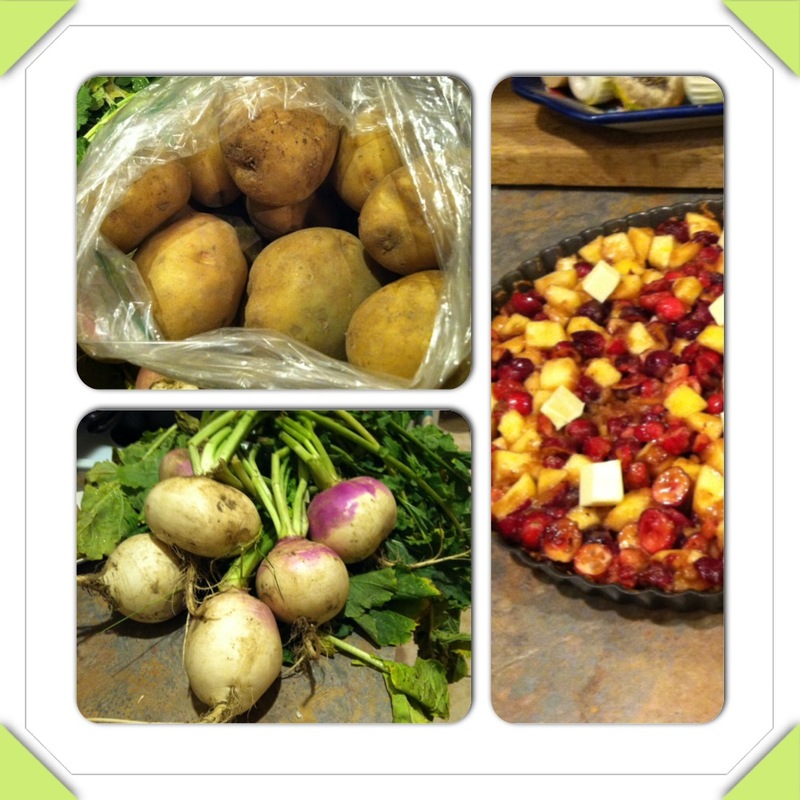 I have so many turnips right now. I did a gratin that went over well but I’m struggling with them. I cubed turnips and added them to stew recently and we enjoyed the extra “twang” it added to the stew. I had asked my husband to peel them though, and he didn’t enjoy that much. Looking forward to the frosted shredded wheat cuisine saga! You’re a loony with 2 gallons of shredded frosted wheat crumbs! What a hoot! And I thought my mom was bad saving pickle juice for the compost and olive juice/artichoke heart marinade for chicken. You’re right up there with my mom (which is actually high praise). It is funny the big reaction I got to admitting my shredded wheat hoard. My sister sent me a text that just said “shredded wheat?”. Apparently, I do have a problem…..